30 x 1216mg Veg. Caps. 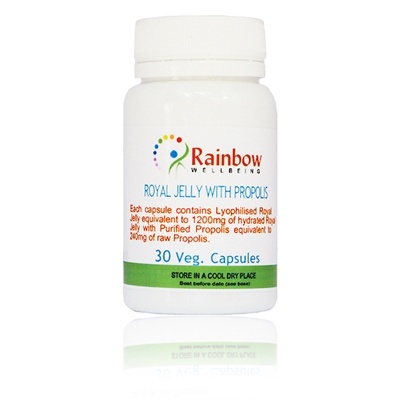 Royal jelly contains physiologically active substances and thus boosts the activity of the human brain, regulates the blood pressure and improves the ability to concentrate. 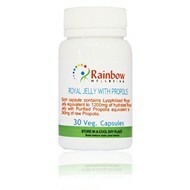 Each vegetable capsule contains the equivalent of 1216mg of hydrated royal jelly with the full benefits of purified propolis. Each Vegetable capsule provides the equivalent to 1216mg of hydrated royal jelly with the full benefits of purified propolis.